4 What do you get in the box? This model is a slightly smaller version of the ActiFry Plus fryer (review here), and has a 1KG cooking capacity bowl. Whilst this won’t concern most buyers, if you do have a large family to feed then the smaller capacity is something to take a note of. 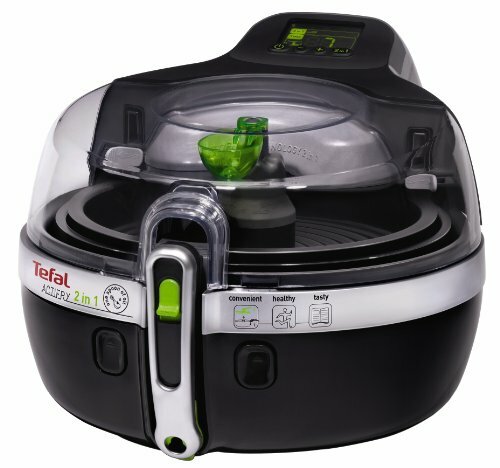 Tefal understand that to extend their reach in the low fat cooker market, they need a diverse range to suit as many tastes as possible, adn this model is their base model in a range of 5 models currently on the market for 2016. 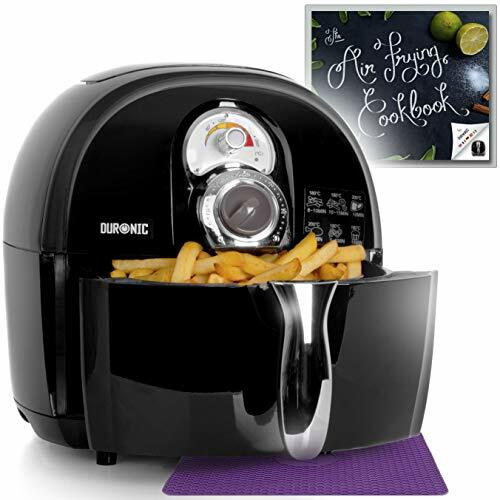 In terms of look and feel, the ActiFry Low Fat fryer comes in stylish black or white colours. Whichever you choose comes down to personal preference but bear in mind that the white finish may show dirt and grime over time, more so than the black model. In the box comes the cooker itself with non-stick removal pan, plus a spoon for the oil. It’s worth noting that for this model, there’s no free recipe book to if you’re new to this type of cooking and need guidance, you may want to purchase this recommended guide so that you get the most out of your new fryer. As with the the Tefal models, there’s also a digital timer with audible sound to alert you when your set timer has completed. It’s worth noting that this model doesn’t have the Auto-shut off feature, meaning your food will continue to be cooked even after your timer has run down to zero. Tefal do offer an auto-shut off on their more premium models such as the ActiFry Family, ActiFry Express XL and ActiFry 2 in 1. 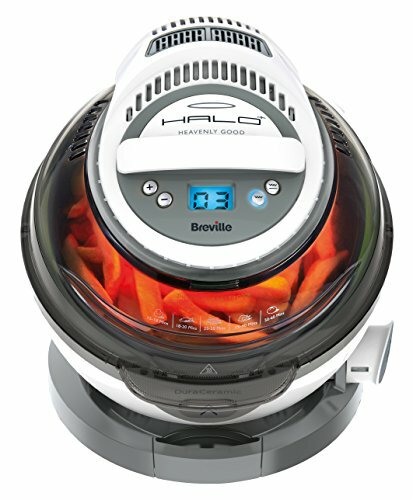 To ensure food is cooked thoroughly, there’s a rotating paddle which automatically stirs the food for you. This means there’s no need to attend to the food while it’s cooking. A great time saving feature from Tefal. The main difference aside from the colours between this model and the ActiFry Plus is the serving amounts. 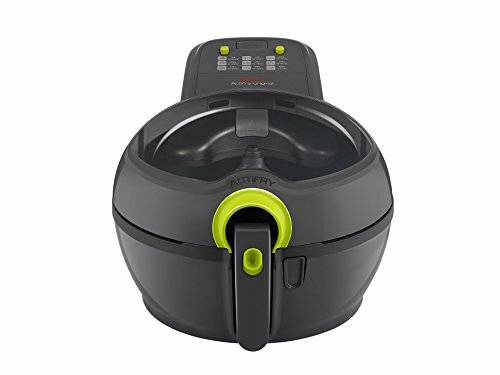 The recommended servings for this model is 4, while the ActiFry Plus, with its 1.2KG capacity bowl offers up to 5 servings. Even you are a family of 4, or even 3, but big appetites, then you may wish to consider the slightly larger ActiFry Plus. At the time we’re writing this review, there is no difference in price between the two on Amazon. 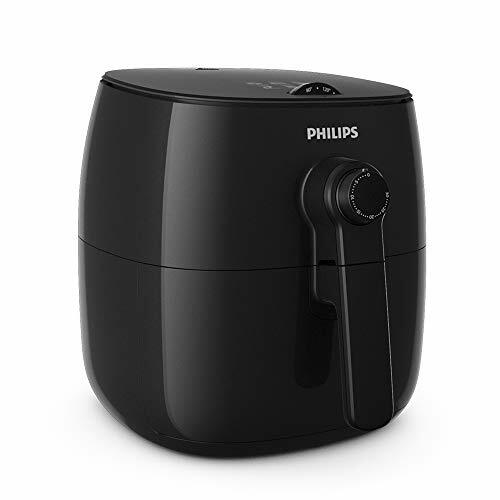 Before we have a closer look at the detail of what customers of this model have said, let’s just point out that there are over 1600 reviews on Amazon, with over 1200 rating this model at 5 stars, making this Tefal base model Low Fat Fryer a strong contender for our top ten. 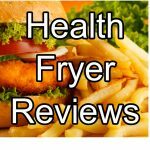 On the whole, customer comments relate to the healthy style of cooking this fryer provides, especially if you’re on a diet and trying to lose weight. Some comments mention a well known slimming club that recommends this model to their members to redude the amount of saturated fat in the food they consume. Reviewers also report how surprised they were at the quality of the cooking results, with many loving the crispiness of their chips and in some cases, much better than using a conventional oven. In terms of noise levels, the ActiFry Low Fat fryer is louder than a conventional oven but for most people this isn’t an issue. If your kitchen is open plan onto the living room them this may present a problem, but all you’re doing is watching TV while your food cooks, simply turning the volume up will solve this minor issue! 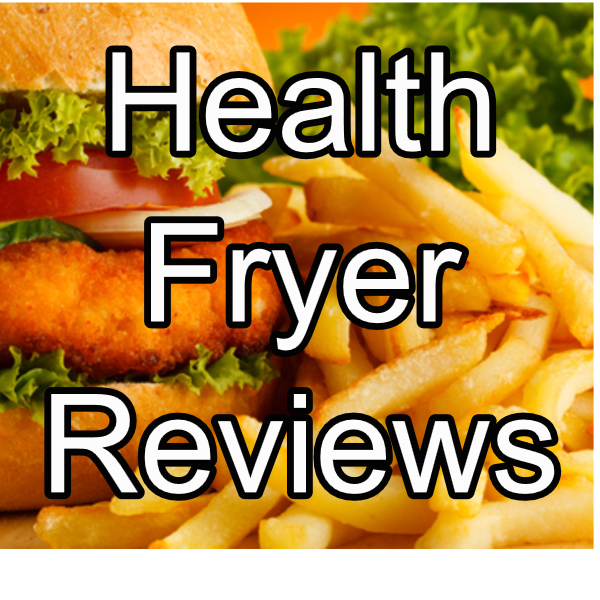 With the controls of the fryer located toward the back of the machine, some reviews point out that you may feel a blast of hot air as you lean over. However, this is unlikely to be safety concern as Tefal undertake extensive product testing to ensure their products are safe to use. As pointed out in our review above, although there is a timer on this model, once it reaches zero, the fryer will continue to cook. It is up to you to turn the cooking cycle off. If the auto-shut off feature is a must have for you, then consider purchasing one of the Tefal models which do have this feature, such as the ActiFry Family, ActiFry Express XL and ActiFry 2 in 1. The only negatives which we thought we should mention for this model relate to the quality of the materials used, which some customers reporting brittle lid hinges and the lid not fitting flush with the body. On the latter point, Tefal do state there should be a gap of 3mm between the lid and body so don’t be alarmed if after purchasing this model you see the gap – it’s meant to be like that. Don’t forget there is a one year warranty with this model so in the unlikely event you do experience a problem with your fryer, Tefal customer service will be on hand to deal with your issue. 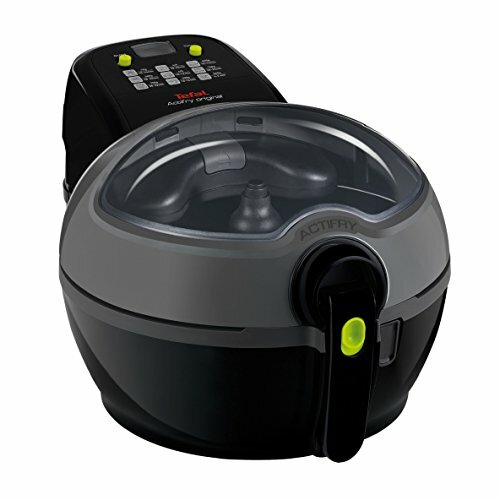 Summing up, the ActiFry Low Fat fryer is the base model in Tefal’s range of low fat health fryers. If you don’t need to cook for more than 4 people, then this model will be ideal for you. However, it is priced at a level very similar to it’s slightly bigger brother, the ActiFry Plus so if you think you will sometimes have the need to cook for an extra person or two, than it would make sense to go for the next model up (which also includes the free recipe book).